You really show your love of books and this wordle is not bad but I saw some awkward works like "like", "really", "right" you may want to make the words more detailed so we know what you are talking about. Thanks! 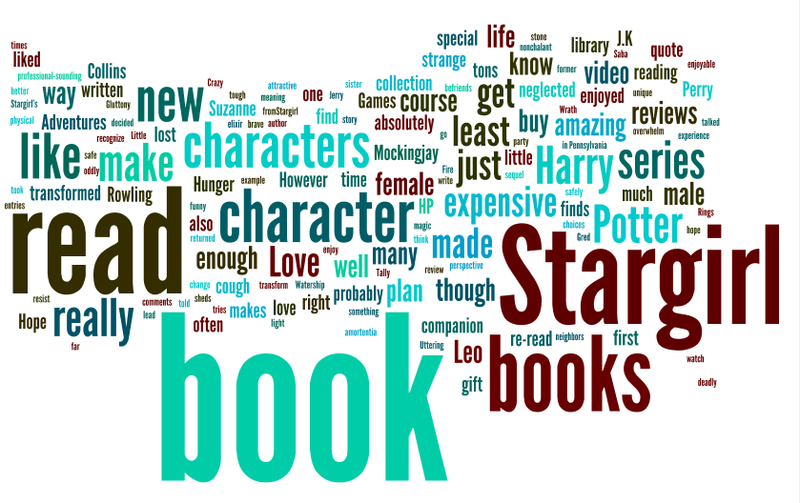 I actually just put my blog link into wordle and it generated one for me, so I actually didn't have any control over the words selected. However, I did the format, font, colours, etc. But thanks for letting me know! I really like this Danika! It looks amazing. I like how Harry Potter isn't very big. Knowing you I thought that Harry Potter would be one of the biggest words. I find that kind of funny that it isn't.